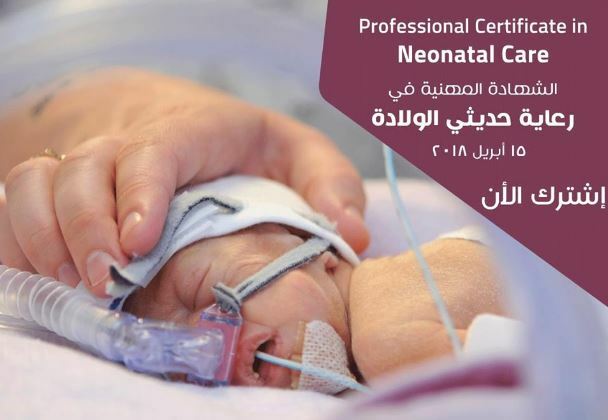 The program aims at providing the participant with the knowledge and skills which enable him/her to assess, evaluate and manage the common neonatal problems with application of appropriate professional, ethical and communication skills in order to improve survival rate and minimize morbidity. It is conducted through 17 weeks part time (Total 272 hours) supervised training in tertiary care Neonatal unit. The training will be 2 days/week, one for tutorial sessions (4 hours) and the other for clinical / skills training (12 hours). • Graduation from medical school with completion of house officer year. • At least one year as neonatal resident. 1. Identify high-risk newborn (whether due to maternal, fetal or placental factors) and recognize criteria of necessity for observation and special care. 3. Illustrate causes, diagnosis, and management of neonatal sepsis. 4. Describe causes, diagnosis, and management of neonatal hyperbilirubinemia. 5. Recognize how to Monitor and manage hypoglycemia and identify its causes. 6. Illustrate Management of infant of diabetic mother. 7. Describe basics of genetics and chromosomal aberrations. 9. Identify commonly occurring birth injuries and apply proper management or referral to specialists if needed. 10. Describe diagnosis and management of hypoxic–ischemic encephalopathy. 12. 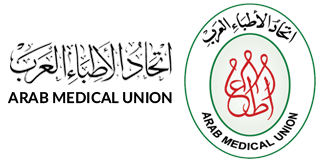 Describe management of intracranial hemorrhage including diagnosis by cranial ultrasound. 15. Identify different causes of neonatal respiratory distress, their etiology, clinical presentation, specific diagnostic tools, management and complications. 17. Describe the basis of pulmonary mechanics and identify the various modes of assisted ventilation. 18. Recognize and stabilize common cardiac abnormalities in the neonates. 19. Identify the potential hazards of handicapping that can be detected, prevented and managed during the antenatal and postnatal periods. 20. Describe how to approach to a case of ambiguous genitalia. 21. Illustrate how to deal with endocrinal emergencies. 22. Illustrate principles of Interpersonal Communication and Counseling. 2) Perform optimum management for stabilization and thermoregulation of any high-risk neonate. 9) Apply proper CPAP or assisted ventilation in all indicated cases. 10) Complete admission and discharge records, daily records in patient’s sheet and monthly statistics. 12) Perform umbilical arterial and venous catheterization.